We provide business strength email solutions, on premises or on-cloud from $6.05 per month we also fix email problems including MS Outlook, Exchange and Apple Mail. As a Microsoft Certified Partner (Silver – Small and Mid Market Cloud Solutions), We have the experience and skills to provide you with a business strength email solution, on Microsoft Hosted Exchange from only $6.05 per month. We also specialise in troubleshooting and fixing email problems including all versions of MS Outlook and MS Exchange. 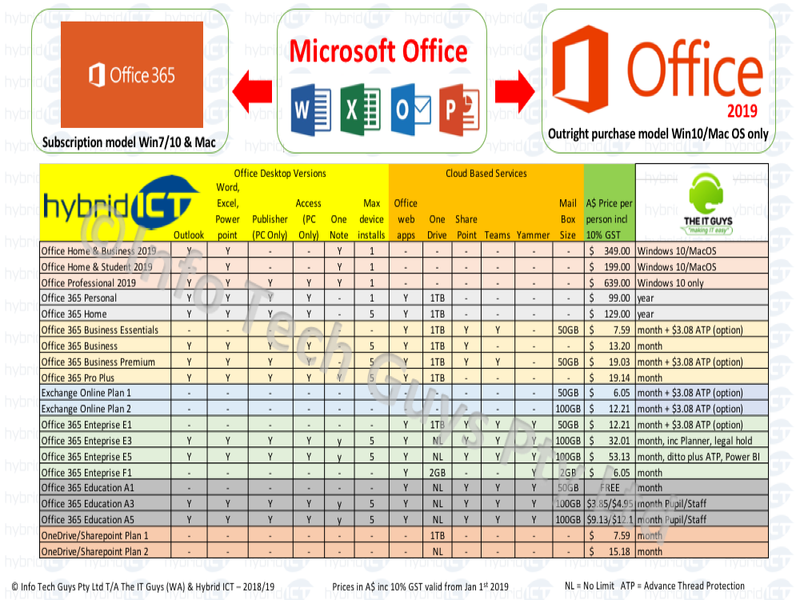 Confused by Office 365, Office 2019 and Hosted Exchange options? 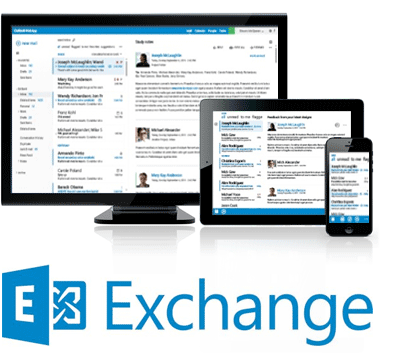 Our Hosted Microsoft Exchange e-mail solutions through Microsoft are the best money can buy, robust with 99.9% service availability and can be supplied as an email service only (Microsoft Hosted Exchange) or combined with the latest Microsoft Office software (Office 365 and Office 2019 on Windows or Mac) Microsoft Hosted Exchange automatically updates email, calendar, and contacts across a range of compatible mobile devices including iPhone™,iPad, Android™ phones, BlackBerry® smartphones, Microsoft Windows Mobile®, and Windows® Phones and will work on any computer using Windows or Apple Operating Systems and mail software. If you already own your own domain name, it can be pointed to Microsoft Hosted Exchange or Microsoft Office 365 (Small Business Essentials or Higher) subscriptions as detailed below. If you do not own your own domain, let the IT Guys(WA) purchase and setup your custom domain from only $20 per year for a .com, .com.au. .net, .net.au, .org or .org.au and it can then be hosted on the Microsoft Hosted Exchange Service or on Microsoft Office 365 (Small Business Premium or Higher) for free. Transferring emails from Exchange to Hosted Exchange is free of charge. Transferring emails from POP or iMap accounts will be quoted on a case by case basis. Please contact us with more details to obtain a quote.